Union Home Minister Rajnath Singh has received a report from the Chandigarh Police on the incident. 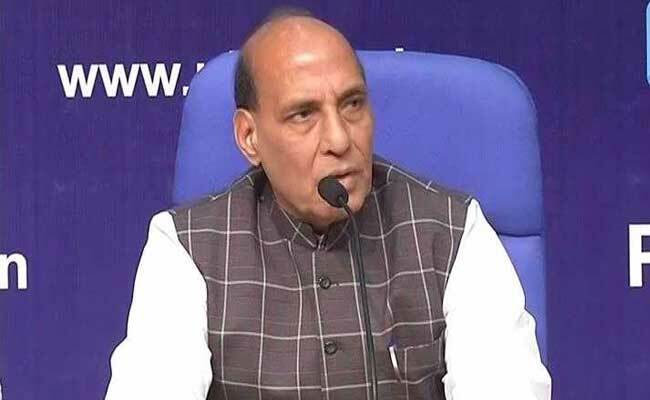 New Delhi: Home Minister Rajnath Singh may make a statement in Parliament on Wednesday on the incident of alleged stalking of a woman in Chandigarh, an official said in New Delhi. The home ministry has received a report from the Chandigarh Police on the incident. The son of Haryana BJP chief Subhash Barala, Vikash, and his friend Ashish Kumar were arrested for allegedly stalking a 29-year-old woman last week. "The ministry has received a report on the incident. It is a statement of facts. The ministry is examining the report. The home minister may make a statement in Parliament tomorrow," the official said. Vikas (23) and Ashish (27) were arrested for allegedly stalking the daughter of a senior IAS officer in Chandigarh. Both were later released on bail as they had been booked under bailable sections of the IPC and the Motor Vehicles Act.